With this eclectic world music ensemble, one minute you’re in a samba parade in Rio de Janeiro, the next you’re in a palazzo in Naples. 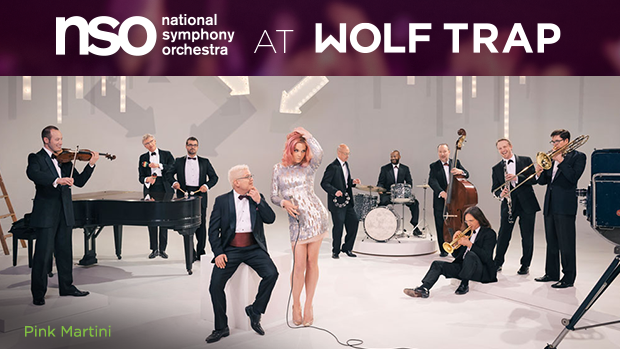 Featuring genre-bending singer Storm Large and suave crooner Ari Shapiro, Pink Martini reunites with the NSO and conductor Steven Reineke to perform its signature cosmopolitan world music spanning jazz to classical to vintage pop. Look back on Storm Large’s DECLASSIFIED cabaret with the NSO! 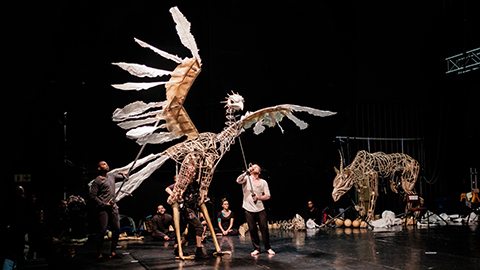 Stunning modern puppetry from a War Horsecreator and stirring South African dance collide in this visionary take on Stravinsky’s classic. Watch the preview. Conductor Stéphane Denève leads the NSO in Tchaikovsky’s stirring violin concerto featuring the“jaw-dropping virtuosity” (The Washington Post) of young violinistChad Hoopes. Boldly go where no man has gone before with J.J. Abrams’s Academy Award®–nominated film presented on huge screens with Michael Giacchino’s score performed live. The Grammy®-nominated funnyman and creator of Family Guy and Ted shows off his impressive musical talent with a concert of pop standards. Events above are hosted at Wolf Trap National Park for the Performing Arts.